Go Under the Sea when you dive Under the Covers! 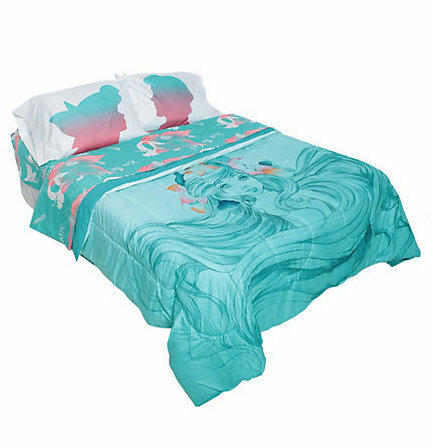 This swirly blue Little Mermaid Comforter will lull you right to sleep, even when you can’t stop thinking about thingamabobs and dinglehoppers all night. Comes in a size that fits a full/queen sized bed. That would be beautiful for a teenage girls room. Love it.